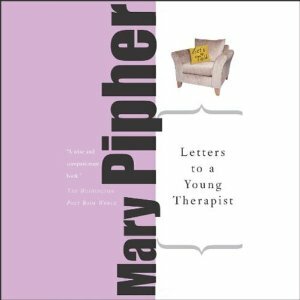 Letters to a Young Therapist, by Mary Pipher, is a novel that feels like a conversation with a supervisor who cares deeply for the work of helping people and is committed to guiding a novice through the tricky parts of counseling. I like the style of letters through each chapter. The overall themes categorized by each letter resonate with some of the work I have already done and gives me some tips and ideas for future work I may encounter. This book included so many things that do not get taught in school. So much time is spent in classes building an understanding of the foundation for counseling, that much of the wisdom that is shown in this book can not be appreciated until you have a point of reference for the information being shared. The notion that you have to crawl before you walk comes to mind here. The other night in class we discussed the idea of experiencing life through wisdom and rules and how that applies to counseling. This book is a perfect example of how important it is to have a supervisor who has experience with applying all the things that are taught in a Master’s program for counseling, so the rules are appreciated, but it is wisdom of experience that allows for comfort in the work. The chapter on danger answered some questions I had pondered. I wondered if it was appropriate to have pictures of loved ones in your office. My gut told me no. Thank goodness for the gut and for the awareness of my gut. Pipher makes a good point that our private life is our private life, keep it that way so that the two worlds stay separate. It reminds me of what my instructor said in class, he is convinced that the clients could care less about our personal lives. After all, the clients are not there for us, they are there for them. Sharing credentials and disclosing relevant present-focused information seems to be necessary and helpful, but beyond that, who is the sharing really for? I remember the other day I shared a thought in session with a client about something that really made no difference in the work we were doing, and it kind of stuck out there in the air; we both paused for it to drop. I was uncomfortable, she was quiet; I got the message. Not every opinion I have, or detail I can add matters. Choosing words and thoughts to share wisely is all we have, so stay focused! Pipher wrote aboutfour statements she read that were important to her in counseling, “ show up, pay attention, tell the truth and don’t get attached to results.” This quote really resonates with me, especially after the many conversations that we had in my Internship class about attachments and expectations. We talk about the “illusion of control” a lot in addictions therapy, but really this idea encompasses all aspects of life. If we remember these four statements as we go about our work it will help temper the illusion of control, our need to fix everything or everyone. It will keep us connected to the present and demonstrate how what we model for our clients can do to help them live more authentically. The chapter on ethics and values in our work intrigued me. I think sometimes when you are so new in this work, you aren’t sure who you should be. Is it okay to make suggestions that would work for me, how neutral should I be? I had this inner struggle in the beginning of this semester about how to regulate my intensity and my positivity. I have been told that turns people off. This is feedback I had gotten before I even came into the counseling field. I have really looked at this aspect of myself, and honestly it gave me some anxiety. I recall thinking, I get that I have to be able to balance my emotions, but being happy and positive is the fiber of my being. I am an optimist. I shouldn’t have to change who I am. You can see how this thought became very troubling for me. The more I have thought about it, I realize that this specific aspect of my personality will continue, but how do I get better at being congruent with my clients? Pipher has a section where she discusses regulation of emotion that spoke to me. Of course I have heard this a hundred times, and we talk about how to help clients do it, but when I read it again and related it to my optimism situation, it helped. Sure, we have emotions as counselors, but we have to be a model of emotional regulation. We have to be able to stay clear and congruent with clients, to remain focused. This is crucial in counseling because the moment I start thinking about me in a session is the moment I make a mistake, or get lost or stuck. The other night in group, we had a client who shared some very powerful information, and I felt myself thinking about how it impacted me, and how terrible the situation was. Then I stopped, took a deep breath, and asked, how can I help? This moment provided clarity and got me back into the present with the client. I get that there are times where I will get emotional, but over time I know that this will be the least of my worries. This book helped reinforce the idea that becoming a good counselor is a journey, one that takes time, patience, honesty, humility and practice. I have also learned the importance of differentiation and not becoming attached to results and why I have to throw away my expectations for myself and clients. It was refreshing to see, as was demonstrated in class, that there is universality in this process of “getting it.” Goodness, I look back at my first semester, and even my applicant interview with Dr. W and Dr. R, and I feel like I was so naïve. I had all these big ideas and unfiltered hopes of fixing those that are broken. What I have taken from my educational program, from my experience in the field, and from this book; is that it is important to be creative, innovative and hopeful, but it is with a filter on how best to serve the client, do the most good, and be aware of myself so that I am present in the moments I have with clients. My job in life is to fix me; beyond that all I can hope for is to ask the right questions, point out their strengths, and help them open their minds to the journey they choose for themselves. This entry was posted in Helpful Books and tagged books. Bookmark the permalink.